Today only, save up to 50% on vitamin gummies for the entire family with prices starting as low as $5.12. Choose from Vitamin C, Multi-Vitamins, Fiber, Fish Oil, Calcium, Pre-Natal and More. 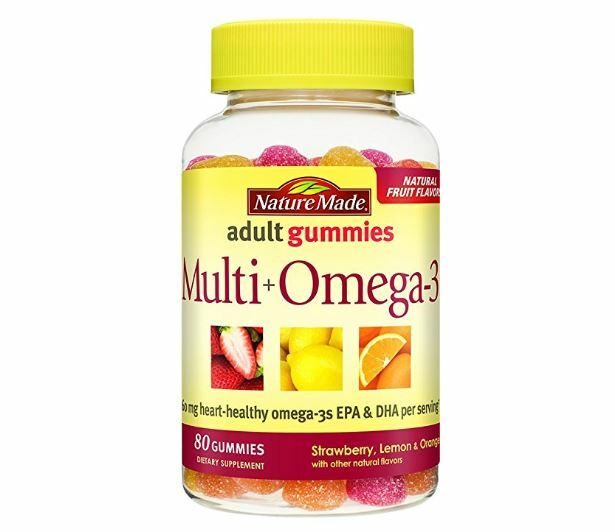 For example this Nature Made Multi for Her + Omega-3 Adult Gummies w. 60 mg of EPA and DHA Omega 3, 80 Ct is on sale for $10.50 (Retail $15.99).